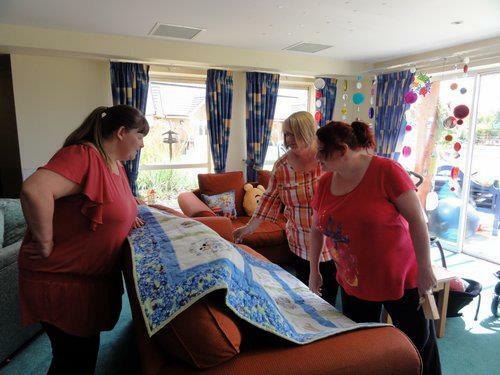 We have decided to put together two further hospice quilts, one for the Keech Hospice (Meadow Quilt) and one for Bluebell Wood's second suite (Primrose Quilt). 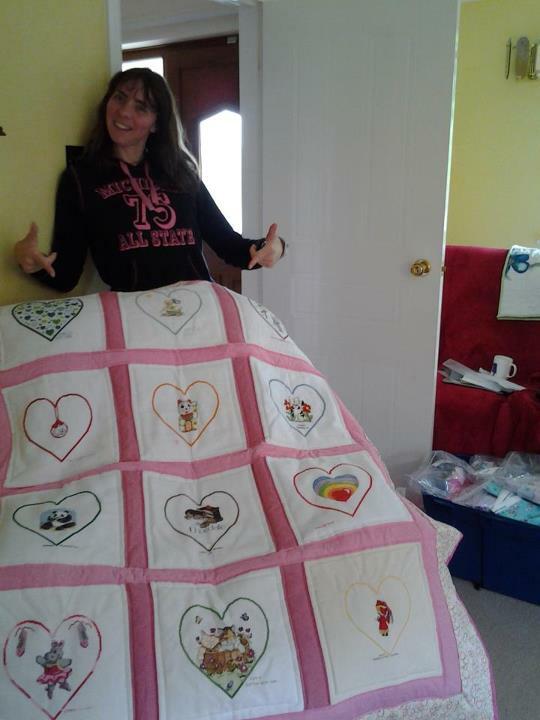 These quilts are now in progress. We have received 40 squares! Many thanks to all those who stitched them! 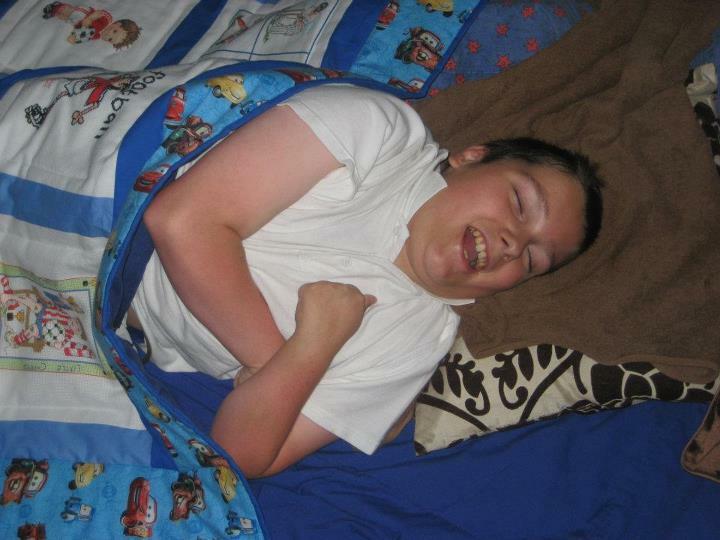 Thank you all for your financial donations to LQ this summer, it is very much appreciated. 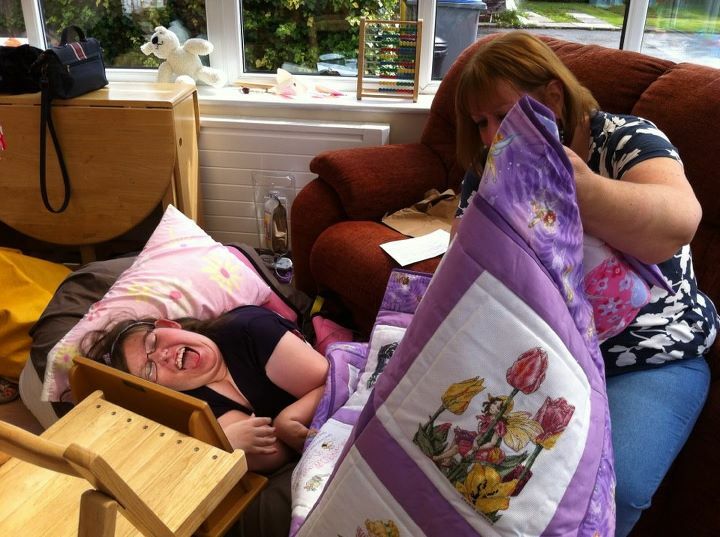 It has been a busy couple of weeks at LoveQuiltsUK with 5 quilts delivered since our last update! 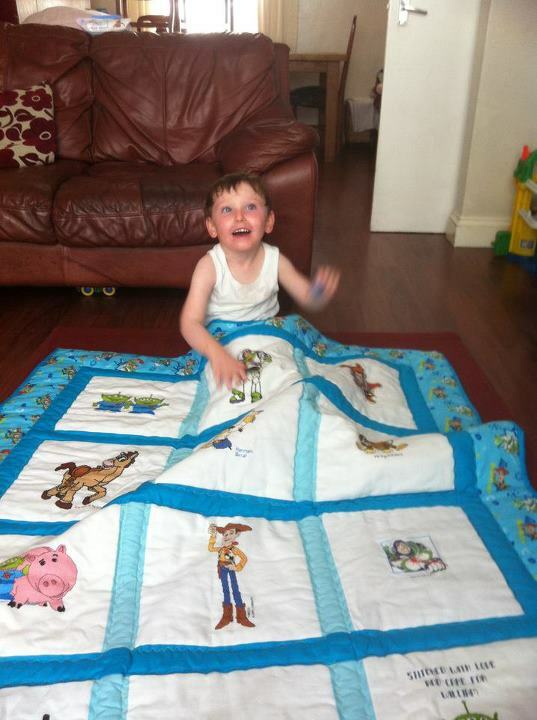 We hope to receive a photo of Aiden with his quilt soon. 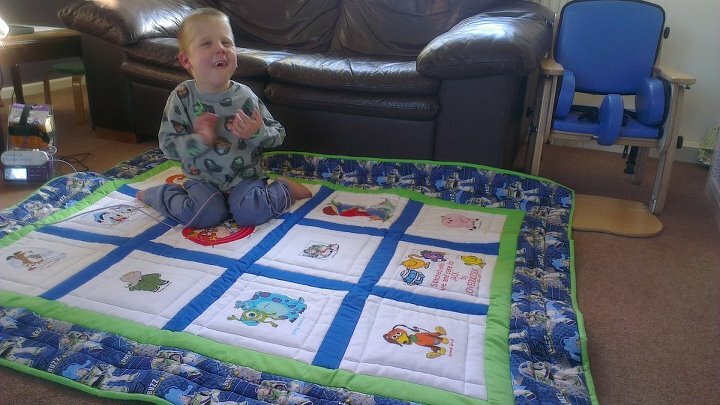 Jack B's quilt is also complete, but Jack and his family are away at the moment, so it will be posted in early August. 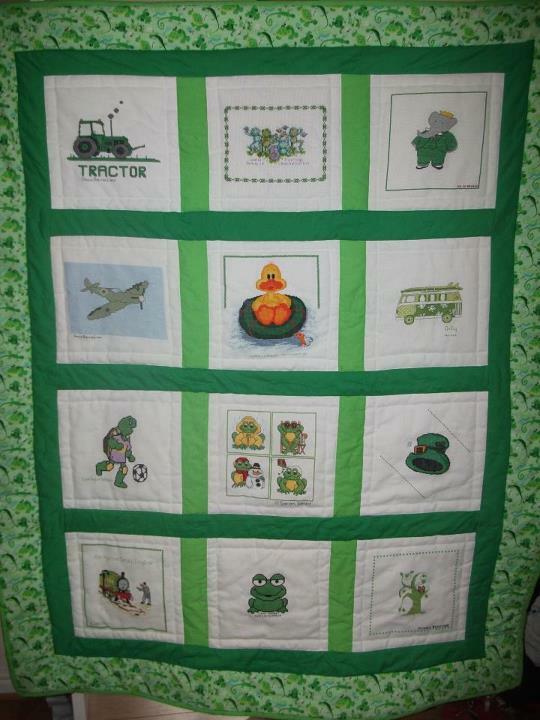 Harvey M's quilt (Vehicles) - quilted by Sandra is currently in the post. 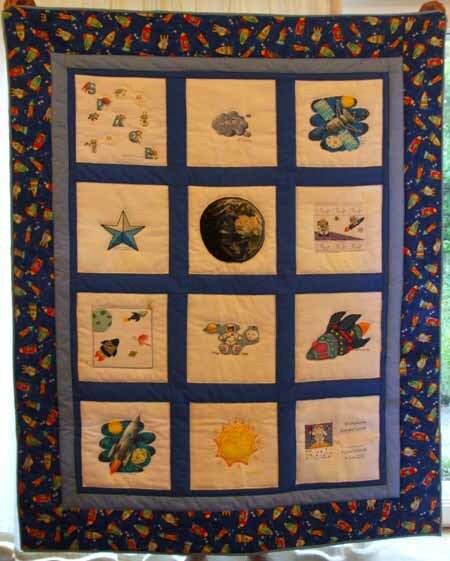 Cathy will be posting Jack C's quilt shortly. 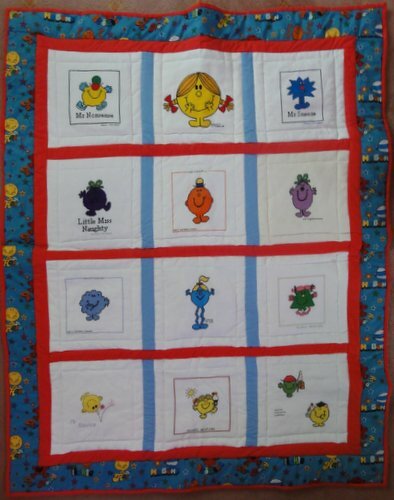 Kita has completed a Mr Man emergency quilt which she is sending to Gaynor in the post shortly. 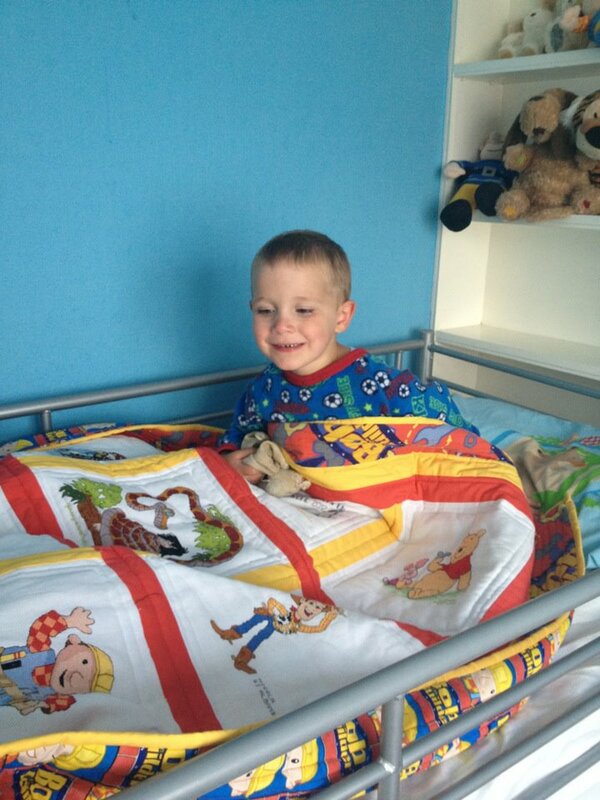 We thank everyone for their fantastic support with these quilts! 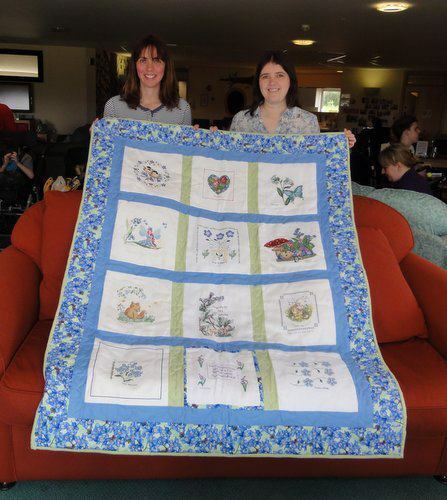 Katherine and Gaynor got together at Katherine's house in Lincolnshire to allocate fabric to forthcoming quilts for the next 5-6 months. They successfully trashed Katherine's house once again! 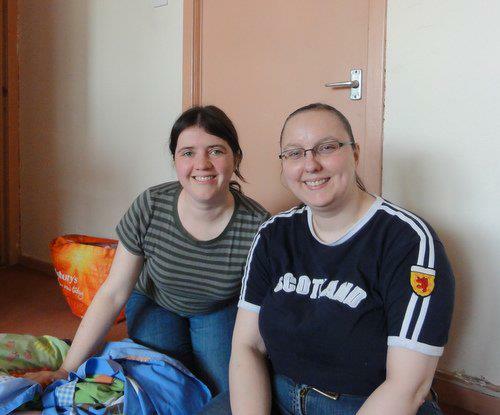 Gaynor also met Magda, a long-time supporter of LQUK, at her home in Glasgow. 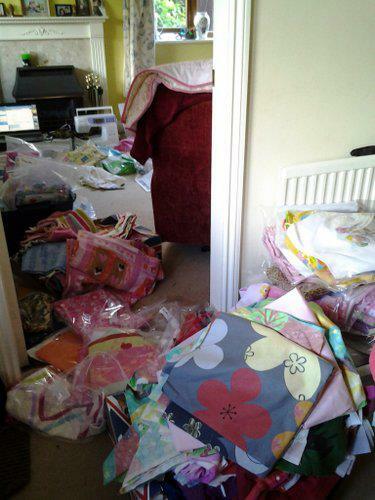 LQUK had accumulated a fair amount of fabric that was unusable - mostly pillowcases that come with duvets that we purchase for the backs of quilts. 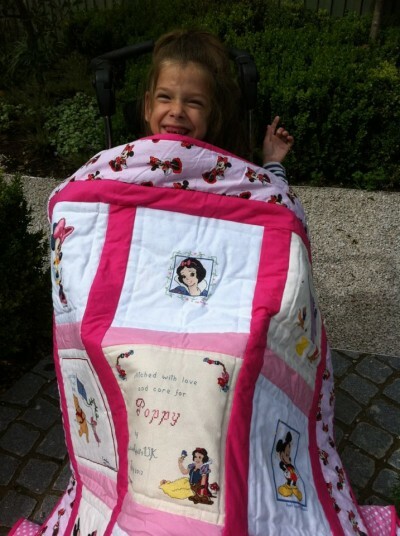 Magda is linked with a project in Poland that makes comfort pillows for children and adults, so it was a good fit to pass this fabric on to her. Thank you Magda, and good luck with the project. 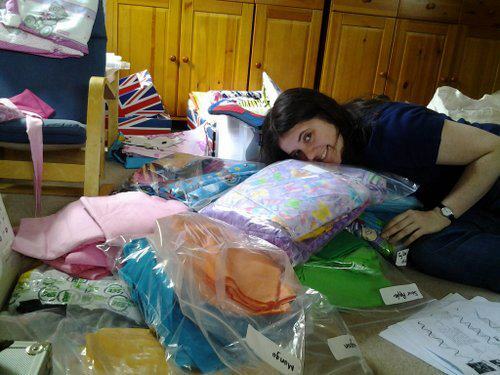 Gaynor has also been touring the Ponden Mill shops of Northern England taking advantage of their 70% off childrens' duvets sale! We have received 33 squares! Many thanks to all those who stitched them! 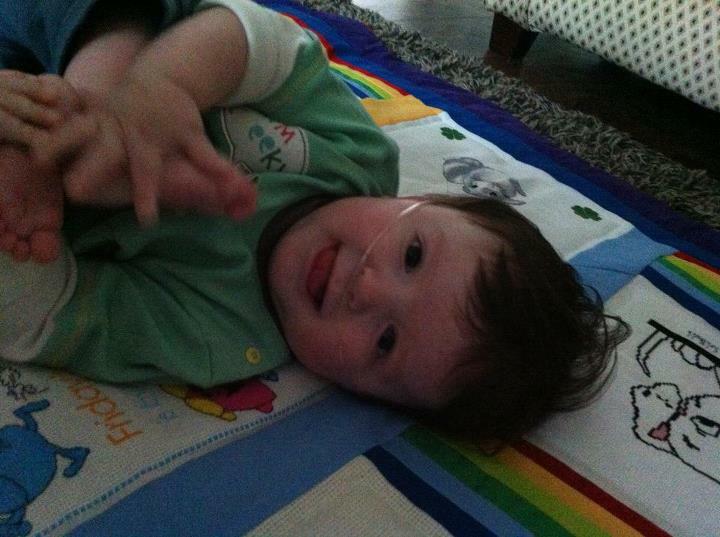 As always, thank you so much to everyone for your donations, it is really appreciated. Gaynor will be volunteering at the London Olympic Games from 22nd July - 15th August. Please do not be alarmed at the lack of LQ News updates during this time - normal service will be resumed afterwards. 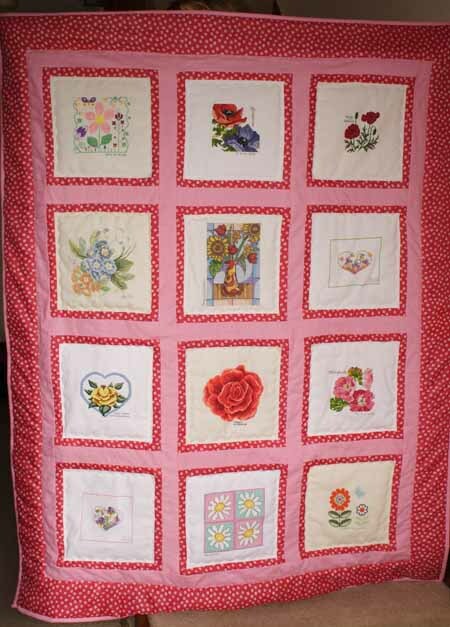 Additionally, no new quilts will open during this period. 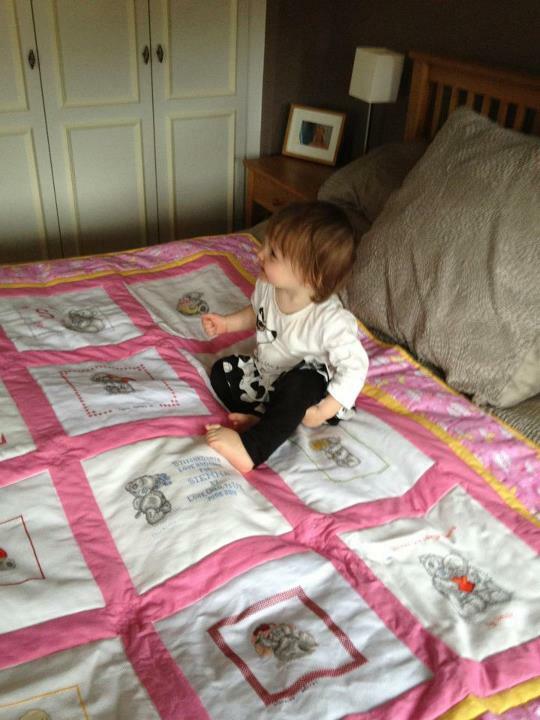 Katherine will be picking up the LQ email and receiving the stitched squares as usual. 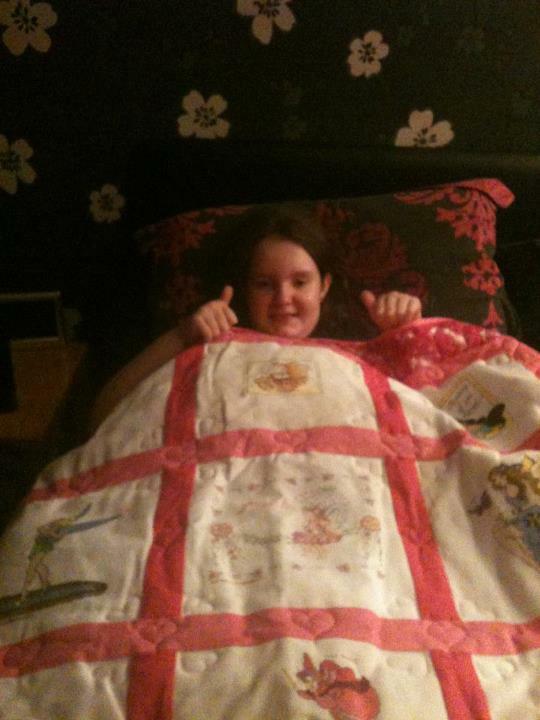 Also, we have heard that Kyle V's quilt (Sport) has been completed by Anna and is now in the post. 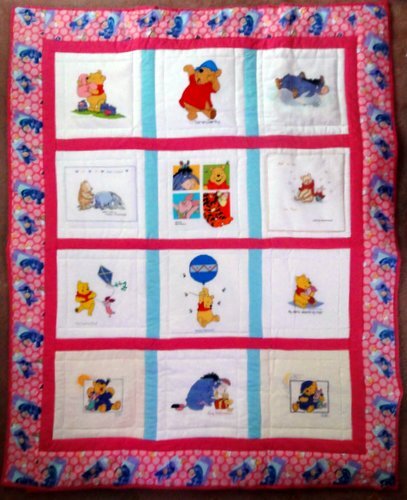 We have received 12 squares this week! 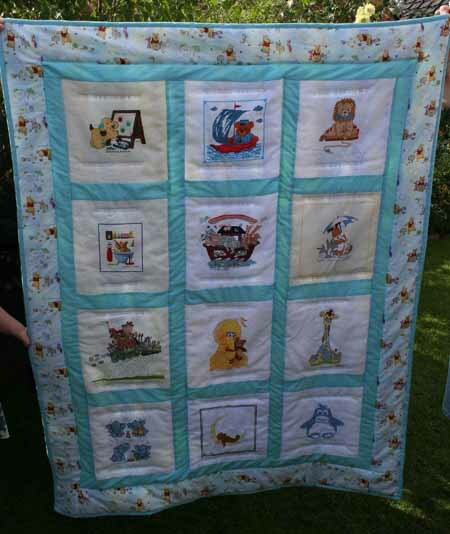 Many thanks to all those who stitched them! 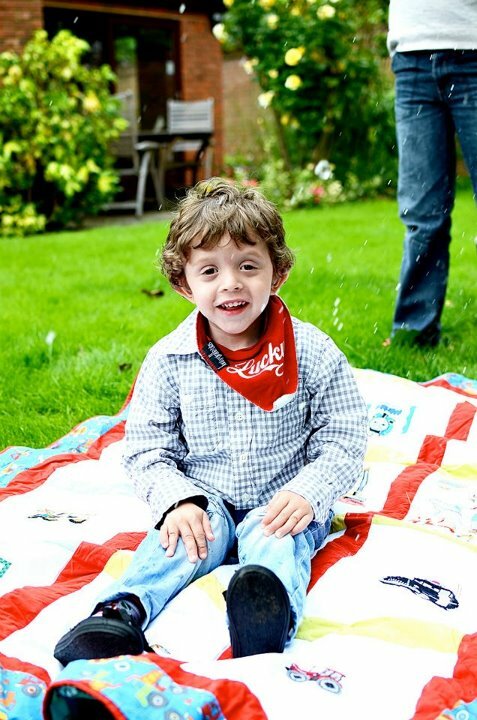 Thank you all for your cash/cheque/Paypal donations this week, it is really appreciated! Finally, Gaynor will be away July 7th - 17th.